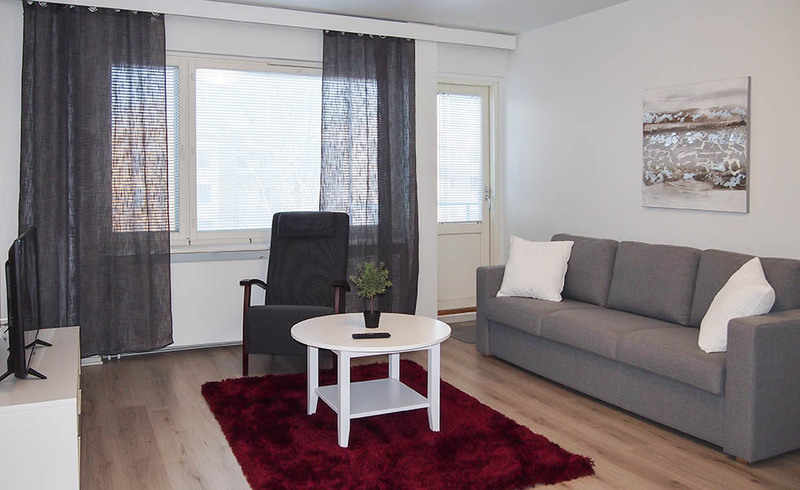 We offer fully furnished apartments in the center of Joensuu and the surrounding areas. Apartment sizes range from a 25 m2 studio to a spacious 130 m2 apartment. Price from 40 € /night. Contact us – we will investigate available apartments and make you a suitable offer. Linen & towels and weekly cleaning is included. Pet fee is EUR 10/pet. We offer rooms for one to four persons that include a mini-kitchen, shower/wc, TV & WLAN Internet connection. The kitchen includes a fridge, microwave oven, coffee maker, cooking plate or an oven and some set of dishes. Reservations by telephone or e-mail. The reception is open upon agreement in the address Torikatu 47 between 2pm-9pm, on Saturdays between 12noon-6pm. The keys can also be picked up from Hotel Julie, Valimontie 3 Lehmo between 4pm-11pm. All arrivals need to be agreed in advance.